In the process of making Gyokuro and Sencha, the stems and veins of tea leaves are sifted out and used to make Kukicha (stem tea) or Bocha (stick tea), collectively known as Karigane. 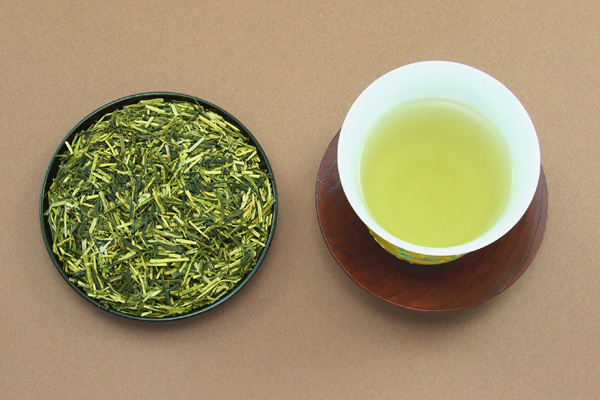 Compared with the tea brewed from leaves, Karigane has more of a fresh green aroma and its taste is light and pleasant thanks to the unique sweetness of the stems. Karigane means “wild goose,” conjured from the image of the twigs floating on the ocean on which wild geese perch to rest their wings when they migrate. 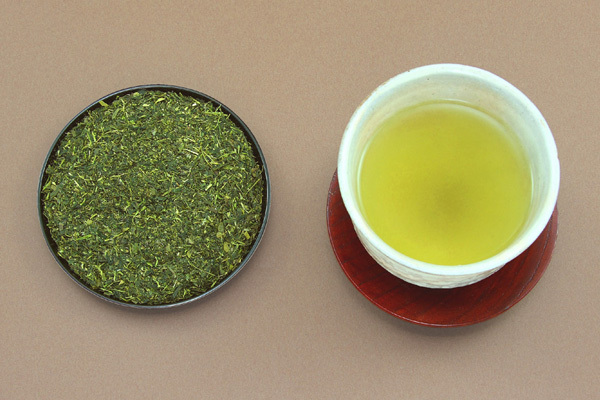 Unlike teas brewed from leaves, Karigane loses much of its flavor in the second brew. All the small, broken tea leaves that are left over from making other teas are used to make Konacha or “powdered tea.” (They are actually the most delicate and delicious parts of tea leaves.) The price is reasonable while its color and aroma and taste are all rich. It is best known as Agari, the tea you drink with Sushi, and is consumed in great quantity at Sushi bars and restaurants in the Kanto area (Tokyo and its surrounding area). Since the tea leaves are in small pieces, Konacha is best prepared using a strainer or teabags. Be sure to pour boiling water into the pot and remove it very quickly; that’s the trick for making the best Konacha.